This killed lettuce is an authentic mountain recipe. See the notes below the recipe for detailed instructions. 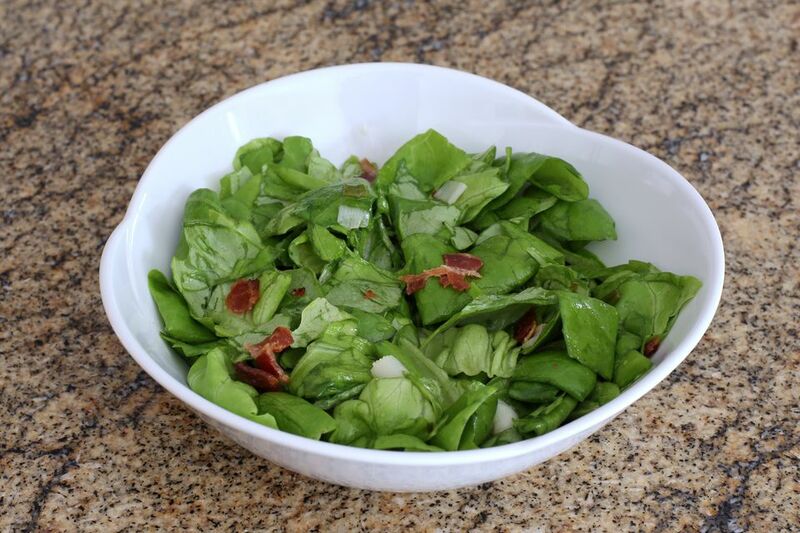 You can use watercress, spinach, lettuce, or arugula in the recipe. Wash greens thoroughly. Set aside in a colander to drain, then pat dry with toweling; put them in a serving bowl. Put the sliced onion and bacon drippings in a small skillet. Place the skillet over medium heat and cook the onion until it is softened. Pour the onions and hot bacon grease over the greens; toss to coat the greens thoroughly. Add cooked diced bacon, crushed red pepper flakes, or Texas Pete, as desired. Lettuce/greens will wilt, thus the ‘killed' effect. In the Appalachian Mountains, the lettuce of preference for this is branch lettuce (watercress, which grows wild in North-facing creek beds in early spring). Any sturdy green will work, I have had good success with arugula and butter crunch lettuce, also spinach greens. A traditional mountain supper would be lettuce, pintos, fried potatoes, corn bread, biscuits, chow-chow, and buttermilk. You can add chopped bacon, or crushed red pepper or a dash of Texas Pete, to make it lively. I have used Italian dressing in place of the grease. It tastes quite a bit different, but it's very good. My grandmother used to keep a grease pot on the back of her stove, where she would save any leftover bacon drippings for cooking with, so as not to waste.